I've developed a deep love of gradients this year. Whether on their own, or as bases for stamping, there's something almost magical about the collision of 2 colours and that blurry divide. To be honest, today was going to be something else, but then this happened by accident ..... Zoya Evvie meets OPI Thanks A Windmillion. And for the girl who does not do green, I LOVES THIS !!! Honestly! 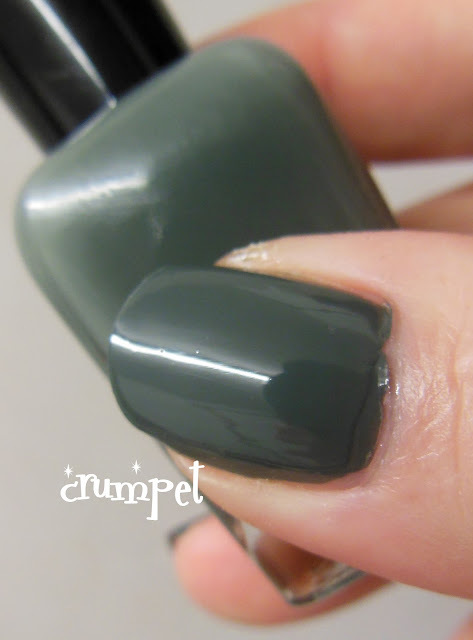 Let's start with Evvie, a super dark and twisted green from Zoya's latest collection. 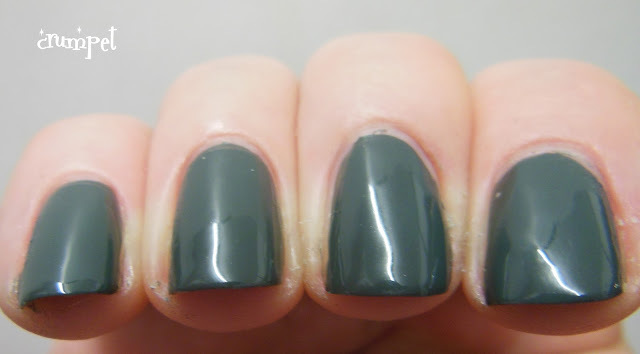 It's a great colour, deeply pigmented and unfathomable, but as a green, it doesn't sit well on me. Thanks A Windmillion, on the other hand (which you recently saw HERE) is the sort of green I CAN wear - sagey, dusty and creamy, this matches my skin tone well. It was pure accident that these 2 came together in a gradient. I'd just swatched Evvie, I was tapping my fingers on the desk wondering what to do next, and because I'm a mucky pup and I hadn't yet tidied Windmillion away, I went "aha" ... and here we are. I can honestly say this is the favourite gradient I've ever done. There was just something so witchy about the overall effect, I loved it. 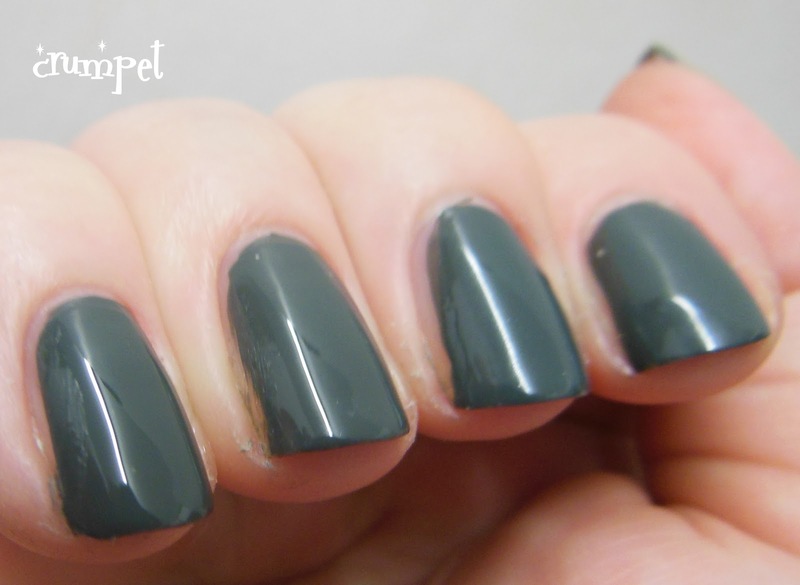 Tonally, the 2 colours played off each other beautifully, and the blend (for once) was perfect. As you know, I'm a witch at heart, so this one thrilled me deeply. 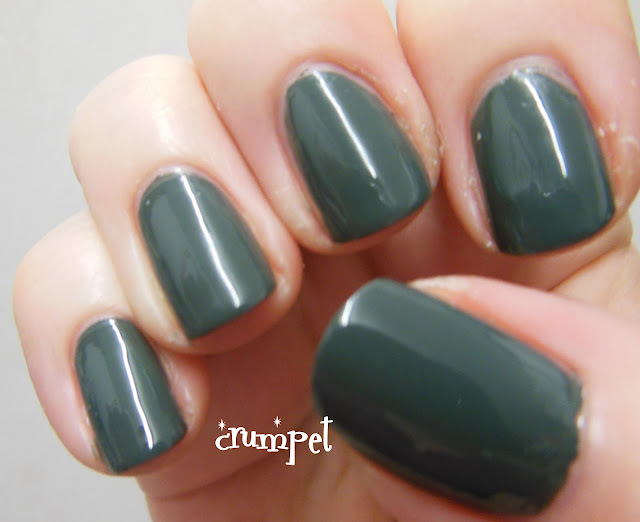 I don't think it thrilled me enough to keep Evvie (I can't keep it just for one style of mani, right? ), but it almost, ALMOST did.